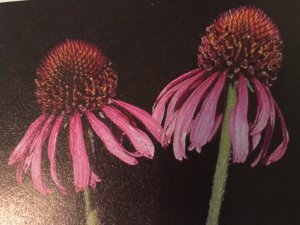 Purple Cone Flower – Oklahoma Garden Clubs Inc.
All contest entries must be judged on the District Level with first place winner ONLY, in each division being sent or brought to the state chairman. Please check individual contests for entry deadlines. Wildflower must be drawn on an 8 ½” x 11” sheet of paper or card stock. The design and medium can be done with colored pencils, crayons, watercolors, markers or chalk. Botanical and common name of wildflower must be at the bottom of the page. Entry must be the work of the contestant. Divisions IV and VI contestants must write a paragraph about the wildflower. Name, street, town, grade, division number, school, parent’s name, sponsoring Garden club and District. The wildflower will be different each year. Must be received by State Wildflower Contest Chairman after District Judging NO later than March 5. All Divisions may color in the outline, but monetary awards will be given for Division I only. Certificates will be given for other divisions if only colored outline. All prize-winning pictures become the property of OGC Inc. to be used as exhibits to the public and in time may be returned to the artist.